Helping cut bills and carbon in the neighbourhood before CERT stopped: crowd-conserving? With time running out on the government's free loft insulation scheme, I worked out that getting out there and knocking on doors to get householders to take it up was the best single action I could take to cut carbon emissions. Links for the "ECO" and "Green Deal" successor schemes to CERT/CESP. At or around the first public mass meeting of the One Norbiton project, it occurred to me that since our loft only had about 1cm of insulation when we moved in several years before, that many of the identical houses around us on the estate were probably in a similar position. Part of our own 'SuperHome' (60%+ carbon-footprint reduction) badge comes from our loft being now properly done (25cm+). I'd very much like to see solar PV on some of that ample roof space. But it occurred to me that there'd probably be better carbon savings and cheaper if we brought all the loft insulation up to standard instead/first! With that in mind I eventually hatched a plan (with initial pilot) to get 100+ private (and council, if it would cooperate) houses insulated for free under the CERT (Carbon Emissions Reduction Target) programme running out at the end of 2012. This should cut carbon and bills, and increase comfort too. In the end I think ~40 homes took this up. Early in July I did some fact-checking to see if my assumptions about CERT and funding for this sort of project were at least in part right. Was there was a pot of money to be used, that the scheme ended soon, and that we could get the loft insulation done without costing the owner a penny. I'm concentrating on loft insulation for simplicity ("do one job well") even though cavity-wall insulation is basically covered in the same way, because homes like mine on the estate, timber-framed, don't have a fillable cavity. Having said that, I won't stop the installer/surveyor suggesting cavity-wall insulation for any suitable properties that we put forward that are not like mine. I thought that CERT ended September 2012 but in fact it is December. Less than 60mm of insulation already present. That if I get a National Insulation Association installer to do the work then they can organise all the finance themselves and neither I nor the householder need get involved in the money side at all. Then I spoke to Capital Energy Solutions, a NIA-registered insulation installer with a van often parked on our estate, following the EST's advice to try to use someone with local knowledge. Again, very helpful and CES suggested survey time per property (for large number of similar houses) ~15mins and installation time ~1.5hrs. And with an approxiate time from start to survey to install of 100 homes of just 1 month. Hats off to both of them for being so helpful. As of Saturday morning 2012/07/21 I was knocking on doors with local councillors Stephen Brister and David Ryder-Mills, a member of TTK (Transition Town Kingston) energy group, plus another local volunteer, to try to find participants for the pilot on streets close to me. As I'll be handling personal data, to collect it and pass it to installers, I've opted to be covered by One Norbiton's Data Protection/Controller registration and created a note to send along with the data to the installers to remind them of their restrictions in using the data, and using their visits for cross-selling, etc. Quite a lot of people were out or not answering their doors, possibly most. But no one was rude or offended by our approach that I was aware of. At 5pm I sent 5 properties' details to Capital Energy Solutions (batch A), and 4 to Climate Energy Solutions (B). On Monday I persuaded one more friend to let me put his name forward, so that was one more for Climate Energy Solutions. ... it was impressive the number of organisations we could claim to represent as working together - RBK Cllrs, One Norbiton, TTK, Save the World Club, CREST (and Lib Dems) all with a common agenda! It was suggested (by Brian S) that "photos of the installation phase with proud householders would help publicise the next phase and perhaps add a prod in terms of keeping up with Jones' where people haven't got it done." I had chased up one batch (A) while away on holiday last week, but found that we had supplied two bad numbers (collected one wrong at the door, and I had transcribed another wrongly into my email to the installers) which accounted for three properties, one property had been slated for survey on the 27th but the surveyor was ill, and one had not yet responded though left two messages so I will follow up. (The wrong phone number collected at the doorstep did not look like a local number so I visisted again to check and correct it.) After a bit more work with the installer we now have four properties due for survey on Aug 7th, and me to prod the householder after an additional message left. IMPROVEMENT 1: next time collect two items of contact info, eg from mobile and landline or email, to make us less vulnerable to one-off transcription errors. IMPROVEMENT 2: arrange common script with installers to remind householders of connection with our visit, and let householders know where possible what number(s) installers will be calling from to help get through householder call screening (eg I sometimes refuse to answer what may be cold sales calls). Of the other batch (B), one is not due to be contacted until next week, one said they were too busy and could they be called back, two had not responded to contacts yet, and one is due to be surveyed 6th August. So only one survey actually even scheduled out of ten within a week (and then cancelled due to illness! ), possibly rising to ~5 within three weeks by which time I had hoped that some actual installs would have happened! So assuming a month from door-knock to install may be reasonable. At this stage I have no indication of likely failure rate at survey due to unsuitable property, or no eligibility, or even already insulated! About three weeks after the door-knocking, 50% (including the 3 I seeded at approximately the same time) have progressed to a definite status (only 1 of my seeds has). Other still pending or survey appointments to be re-arranged, etc. The first insulation installs are scheduled for almost exactly one month after the door knocking! 2012/08/23: first confirmation today from a householder that their insulation had been installed (yesterday), and put forward one extra name from a fellow train passenger expressing an interest as first in a MISC batch (insulation installed 2012/09/11). Note: some people make arrangements for the survey or even install to be done and then are not there on the day, eg are on holiday, which is unfortunate, but does not seem to astonish the installers. The local estate 'Fun Day' is coming up on 2012/09/08, and schools go back. Additionally I've provisionally planned door-knocking for Saturday 15th and Monday 17th (to try to catch people on different work times). The plan is to create a leaflet (maybe A5) to hand out on the Fun Day and at schools (maybe with something said in assembly too), and for the letterboxes of people out when we knock on their door (or if they'd rather make arrangements rather give us their details). Here is the first verson (Word format) complete with single-use contact email address and phone numbers. Also prepared versions suitable for printing 2-up on A4, with company order reversed on second sheet for fairness, etc, as Word .doc and PDF. Today was the Cambridge Road Estates Fun Day and I helped out at the One Norbiton stand, and took along some leaflets to hand out. Probably only fewer than five house owners took leaflets, but I asked people to ask their neighbours who might benefit. I was also approached by a resident in one of the tower blocks reporting terrible draughts through the windows: for now I've passed that on to the local councillor but expect to get that back to work on later. IMPROVEMENT 3: I should add a QR code (and landing page) for the leaflet so people can just scan with their smart phone if interested. We had the mayor and Ed Davey (MP and Energy SoS) and a local councillor (David Ryder-Mills) at the Fun Day too! The mayor suggested that I contact the appropriate Neighbourhood Committees to get the insulation message out, and I shall do some of that today. My aim was to do the next big round with 10 volunteers on the Saturday (15th) with a mop-up on Monday for people out on an Saturday, etc. However, I have one volunteer for each on Saturday and Monday, so I shall start doing the 'bug push' incrementally, spending about one day per week covering another couple of streets in the Norbiton ward. That may make the logistics easier anyhow. 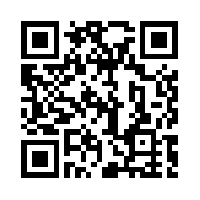 I have cooked up a QR code and landing page and leaflet (2-up Word .doc). I've printed 50+ leaflets to put through letterboxes or give to people reluctant to give us their details but would like work done. These also serve as mini posters and I have given them one each to the library and local pharmacy and another local shop; I hope that the QR code will encourage people to get the Web page and read it. I have produced a compact street survey form, that allows brief (non-personal) details to be quickly recorded for each house while working along a street, and allows some relatively simple stats analysis such as how many were interested or thought that they had enough insulation or simply didn't respond to the knock on the door. One sheet should cover much of a street. I also prepared an updated loft survey form to gather details from someone interested in getting the insulation. Covered the end of the Kingston Road to the Norbiton boundary on Saturday (and a bit of the end of Cambridge Road) with help from Brian S (thanks)! Have a few possibles including at least one keen. Quite a few recently done. Also Dickerage Lane to the railway line, Stafford Rd, Lincoln Rd, Fleetwood Rd, Fleetwood Square. One of the properties encountered on the 15th has the same agent as two done on our previous round a few weeks ago. The agent has been very helpful and told me of three properties she handles on the same road, and possibly others will be forthcoming (outside Norbiton), which would be a real bonus. Four other survey forms were filled in on the 15th, and several people who took leaflets instead were interested but, for example, did not want to give out personal details. 2012/09/17: have now covered (with the help of David Ryder-Mills, thank you) about the east-most third of polling district HB. A mixture of council and private tenants, with a few freeholders. I also popped into the local primary school (King's Oak) to see if it would be interested in passing on the message via its pupils. Hurrah! Subject to some sensible sanity-checking of the companies involved, Kingston has agreed to let me organise loft insulation for its tenants! Having spoken to Shadia R at RBK today, amongst other things she tells me that there is a small pot of money to help frail/vulnerable people that don't meet other criteria (eg for CERT). I had encountered a freeholder with decent loft insulation but very poor draughtproofing which she could not fix for herself: I am trying to find if this Warmer Homes Healthy People / RE:NEW scheme (in conjunction with Age Concern) can help her, and other people in a similar position that I meet. 2012/09/28: today I went and revisited council tenants that have expressed an interest in getting insulation, confirming that I was now officially permitted to deal with them, and to explain about the RBK Warmer Homes extras, and I knocked on doors in Norbiton Common Road. 2012/09/29: I visited Archdale Place, King Henry's Road and Hampden Road, the latter two yielding no survey forms at all though usual levels of doorstep interest which may follow through. 2012/09/30: Gladstone Road, Charter Road, Charter Square, (Waters Sq: could not do): no surveys for lofts but other measures may apply for two downstairs flats. See updated leaflet mentioning specific RBK affinity booking code for one supplier and indicating that council tenants are covered too. Looks like at least one person scanned my QR code from their Blackberry today; good to know that it seems to work! Hi. I'm doing a project [with local councillors and others] to make sure that everyone in Norbiton has enough insulation before winter, because it's free to be topped up if you don't ... and it can save you £100 on your heating every winter once it's done. I also outline the RBK "Warmer Homes" / RE:NEW scheme and especially for council tenants point them to the company 'approved' by RBK for the work. A quick paper survey of the 11 EPCs available for my road, dating back to ~2008 and including my voluntary one, yields ratings of 1 B, 4 Cs, 3 Ds and 3 Es, with amounts of loft insulation ranging from nothing to 300mm+. Visited a few on my road without EPCs that I hadn't previously visited, and one householder (council) is sure that she has no or next-to-no loft insulation, and says that she'll call to get it done: bingo! Discovered that the company my neighbour spoke to has distinct 0800 numbers for different offerings such as RE:NEW, and thus the generic 0800 number that I have been putting on leaflets alongside the RBKL booking code is not ideal: I shall fix it. I hope no one was turned away... I have updated the leaflet. Great sunny Saturday 2012/10/06 (we had our washing hanging out to dry! ): Porchester Road and Douglas Road. Only one survey form (but enthusiastic) with usual levels of interest in leaflets handed over on the doorstep. Saw a couple of (small) solar PV installations, which is good. 2012/10/10: Waters Road and Rosebury Road. A couple of survey requests, and a couple of somewhat rude rejections! 2012/10/11: a "Mayor of London" headed "Dear Resident" letter arrived through our letterbox this morning talking about RE:NEW and saying "a qualified assessor ... will be calling at your home in the next few days ..." so this may reinforce my door-to-door efforts with luck. 2012/10/12: Ernest Road, Ernest Square, Rosebury Square. No survey requests, but a couple of householders with little or no loft insulation, one of which because the loft is too full of stuff but they are unable to shift it for age/medical reasons, so the RE:NEW / Warmer Homes schemes might be able to get it done finally! Also did a newsletter insert for St John's Primary School today. 2012/10/13: Gloucester Road to the railway line (eg Norbiton boundary). No survey requests, more/all private housing, at least a couple bear further investigation. Significant numbers of householders still seem not to know about CERT. Given that probably the bulk of the least-well-off and social housing in Norbiton has been covered now, and given a change in tone of householders even on the Gloucester Road yesterday, and fewer sunny hours available, I'm going to tweak future tactics. 2012/10/15: Dawson Road, excluding loft conversions (15 of 55 houses) and new developments near the cemetery and at the opposite corner. At least some people had had the Mayor / RE:NEW leaflet but not acted on it, with about not being able to clear a loft, for example. 2012/10/17: commuting back from London today, one of my fellow commuters suggested that I should ask churches to let their flock know in their regular newsletters right up until the December deadline, since many of their elderly/vulnerable may have missed the message that they can get help with loft clearing and other health-related issues at the same time from the the RBK Warmer Homes Healthy People version of the scheme. 2012/10/22: with the help of Liz D and Brian S (thank you!) Villier's Road (east side) from Hogsmill river, Hawk's Road, Bonner Hill Road and Somerset Road; not much of 'H' left to do. Even one KA mum (ie nominally already in receipt of my school newsletter piece) found the loft insulation scheme news to her, so multiple methods/rounds of information delivery can be worthwhile. 2012/10/23: Linden Crescent and Rowlls Road: a couple of survey requests from people who'd started the process but were let down by the installers. Several other people taking leaflets at the door very interested. 2012/11/03: Portman Road and Piper Road: no survey requests but normal levels of interest and a couple of tricky cases (loft clutter and awkwardly-spaced joists). That concludes the 'H' polling area. The 'HA' area remains largely unvisited so far. 2012/11/17: worked with local councillors on their rounds today, and did the "C" roads (Clevedon Road, Chatham Road, Chesham Road, Cobham Road) using just the leaflets and no survey forms to keep things simple, since a number of other things were going on. Usual levels of interest (ie people keen to follow-up), and good numbers of lofts done, or actually in process. May well have as many as 10 more done from those four roads today, with luck! 2012/11/18: Coombe Road and Station Approach (a handful of houses each), and Homersham Road. Homersham Road had been systematically visited by an installer firm within the last couple of days it seems, at least at one end. 2012/11/25: Norbiton Avenue: a single survey request, normal-ish levels of interest (including a few householders that may proceed IMHO) and one horror story of a lady on the road who'd had her ceiling overloaded and coving damaged. Also, a few people were upsettingly rude; maybe because of the cold and gloom. 2012/11/28: had a call from one of the leaflet recipients on the "C" roads, and was able to get her booked in quickly for a survey; all good! 2012/12/14: I think I'm out of time. For various reasons I haven't made any further progress this month, and most of the schemes will be winding down since there is not much time to actually do stuff before the end of December. Roads that I didn't get to visit: Neville, Gordon, Birkenhead (Avenue), London, Church, Albert, Minerva, Victoria, Station, and Tithe Barn (Crescent). However, several of those simply don't have many conventional houses to which CERT loft insulation would have applied I think. The next stage was to be analysis of collected data, including feedback from the installers on work done (or not) for householders that I put forward, in part to get a feel for how many 'additional' lofts were insulated by my efforts. My best current guess is 30--40, which might therefore be >15tCO2/y of carbon footprint savings. However, follow-up was not possible. ECO Jan--Sep 2013 1,591,822 "measures" applied to >1m dwellings including loft insulation: 419,696 (177k virgin, 235k topup, 7k room-in-roof); also see GD+ECO stats Nov 2015 and home insulation stats GB July 2013. 2013/03/13: Squashed loft insulation 50% less effective: "Research from the National Physical Laboratory (NPL) has shown that by squashing down loft insulation, for example under storage boxes, homeowners almost halve its performance. 2012/12/13: Landlords cash in on green subsidy gold rush: "At the end of September, collectively, the biggest six energy firms still had 10 per cent to go to meet the CERT target, according to regulator Ofgem. They were less than half way towards a target to concentrate CERT work on a 'super priority group', which includes, for example, families with children on job seeker's allowance." Note £80--90/tCO2 cost of delivery through CERT/CESP vs £5.70/tCO2 on EU market. 2012/11/21: Vulnerable people prove hard to reach as Big Six struggle to help fuel poor: A spokesman for Npower said: "The industry is spending three times more on finding these customers than it is actually financing the delivery of the carbon saving. It's ridiculous." 2012/09/26: Guardian Data Blog: Insulated homes - how many have been treated in Britain? : Of the 23.4m homes in Britain with a loft, 65% now have loft insulation. How many homes have been treated and how has the government scheme affected the numbers being insulated? 2012/08/30: Guardian Money Blog: Free loft insulation from British Gas ... what's the catch? There isn't one! Warmer Homes Healthy People / RE:NEW / etc additional schemes and help available in Kingston (email warmhomes@rbk.kingston.gov.uk). Notes from fact-checking call to EST and NIA installer. Check, Switch, Insulate to save money this winter. CERT explained on the DECC site. Energy Saving Trust whose advice line I called. Capital Energy Solutions NIA-registered insulation installer. Climate Energy Solutions NIA-registered insulation installer. Which? on free insulation deals. We Are Homely: "Using our free services, we help you cut through the sometimes complicated information out there to get to the heart of what is going to work for you and your home." 2012/07/12: DECC claims "only 1% of treatable lofts in the UK will remain to be filled..." vs ACE "According to the latest figures released last month by the Minister's own department, only 62% of homes have received sufficient loft insulation." Be careful of promoting self-interest (eg saving money rather than carbon), even alongside rather than instead of the altruistic motivations, [archive, 2014] as it may harm other green behaviours. 2012/11/20: Green Deal ORB: [archive, 2013] find an assessor. 2012/10/18: Green Deal: Gov.UK overview and [archive, 2013] the Green Deal Cash Back Website (£100 for loft insulation including top-up to £650 for solid-wall insulation for example). First published 2012-07-18 , updated 2019-04-18 , rebuilt 2019-04-19 . Site copyright © 2007-2019 Damon Hart-Davis. Hosted by ExNet.